Breakthroughs in scientific R&D constitute the backbone of innovation-led development. Especially for the resource-constrained countries, low R&D budgets leave scientists and researchers struggling to meet their study goals and they are not able to play their due role in national development. Funding opportunities from external sources such as the European Union’s Horizon 2020 play an important role in filling the research funding gap. COMSATS, Dr. S. M. Junaid Zaidi, spoke on behalf of their organizations. A Technology Transfer Consultant, Mr. George Panagopoulos, provided training on thThe event was attended by a number of Vice-chancellors and researchers, looking to improving chances of benefitting from good funding opportunities. 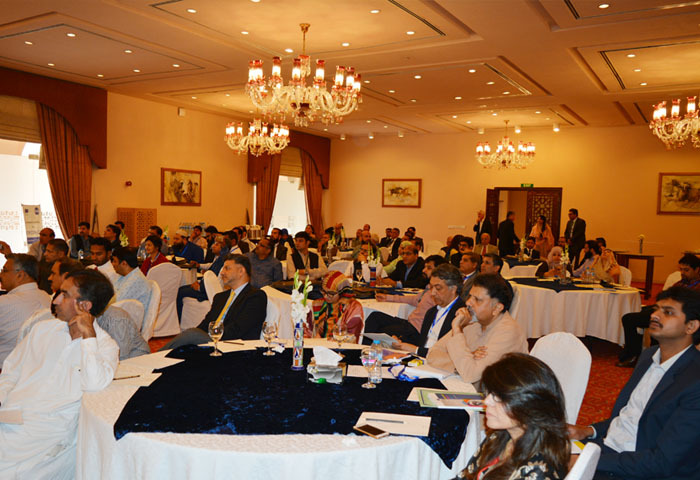 The event proceedings were made available through live-streaming to a wider audience, including COMSATS Ministerial focal points, Centres of Excellence, and partner organizations in different continents. 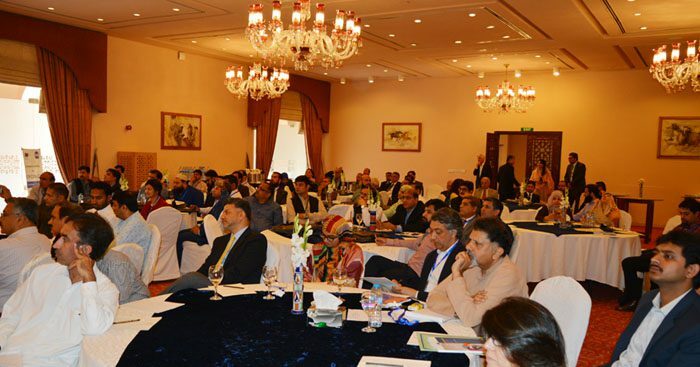 Some representatives of foreign missions in Pakistan were also present on the occasion. ree thematic aspects pertaining to H2020. These covered an introduction to the programme and work plan for the last two years; sources of information on the programmes and documentation needs; and ways to prepare and submit proposals best suited to qualify for the funding. Mr. Panagopoulos was representing the PRAXI Network, Greece. 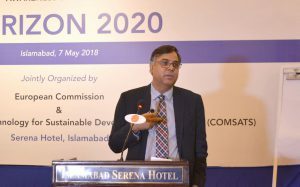 He highlighted the available funding opportunities in the fields of transport, energy, environment, biotechnology, nanotechnology, defense, agriculture, forestry, social sciences. 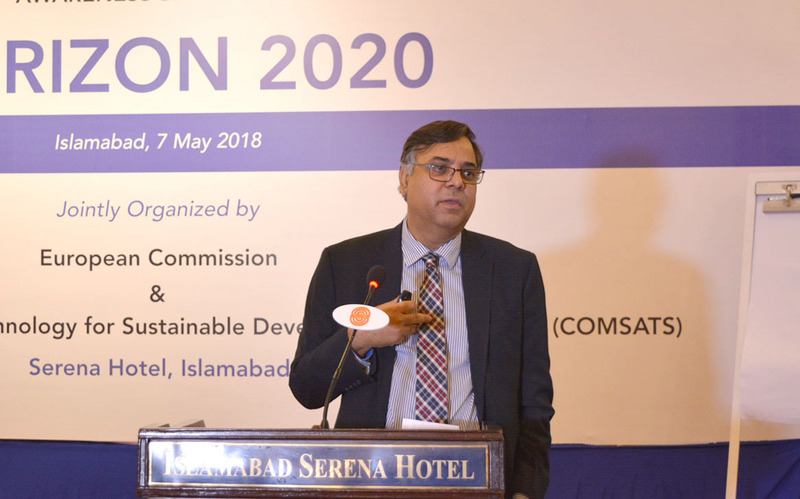 Opening the Seminar, Dr. Zaidi recalled to the audience the warm working relations that COMSATS has been able to establish with organizations from the North over the span of last few months, including the European Commission. 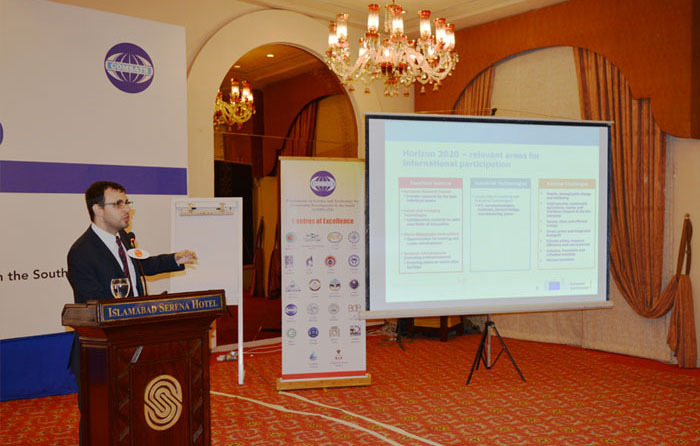 He believed that all who attended the seminar physically as well as electronically would feel better informed and equipped to duly benefit from H2020. 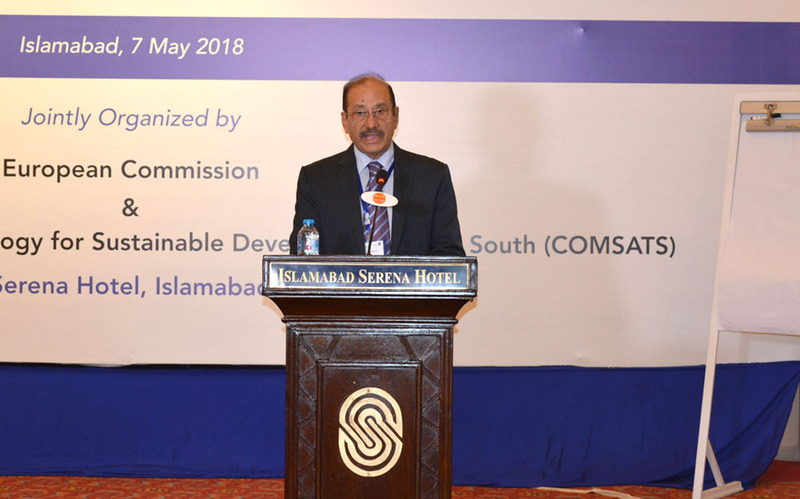 Highlighting the importance of good research, he emphasized the need for developing countries to benefit from the programme and considered COMSATS a useful facilitation platform in this regard. 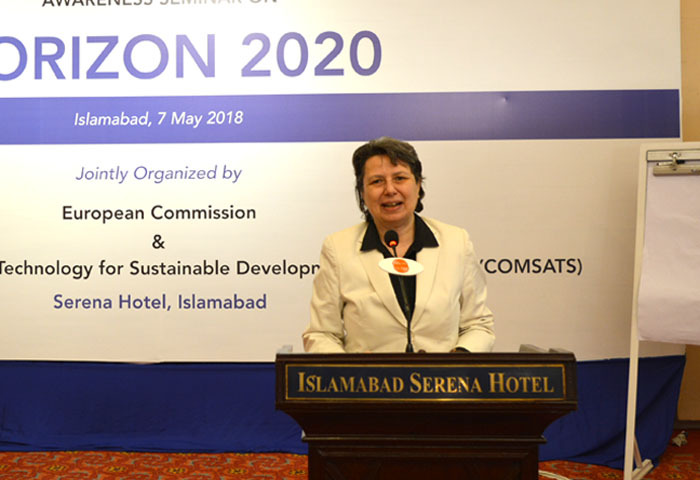 Speaking on the occasion, Ms. Marchal highlighted the importance of H2020 for researchers and scientists across the globe and appreciated COMSATS’ effort to disseminate important information on the programme for the benefit of many. She considered programmes such as Erasmus+ and H2020 as an important link between the EU and developing countries. 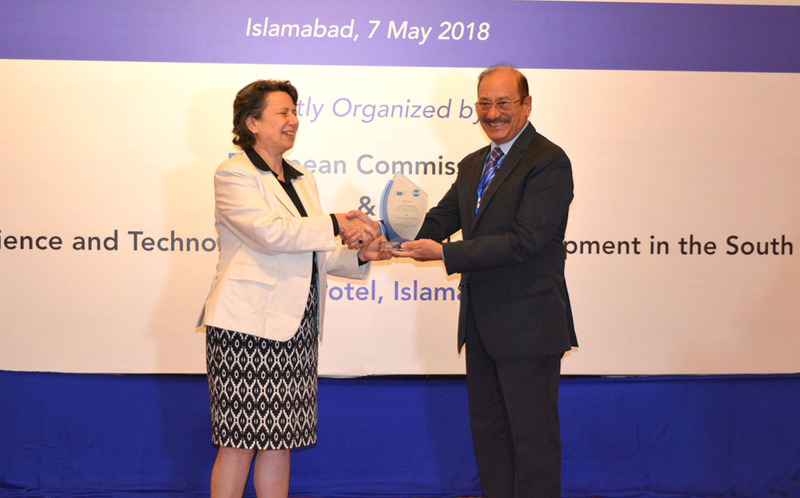 She informed that the seminar materialized as a result of the working relations developed between COMSATS and EU earlier and thanked Dr. Zaidi for a proactive partnership from COMSATS. 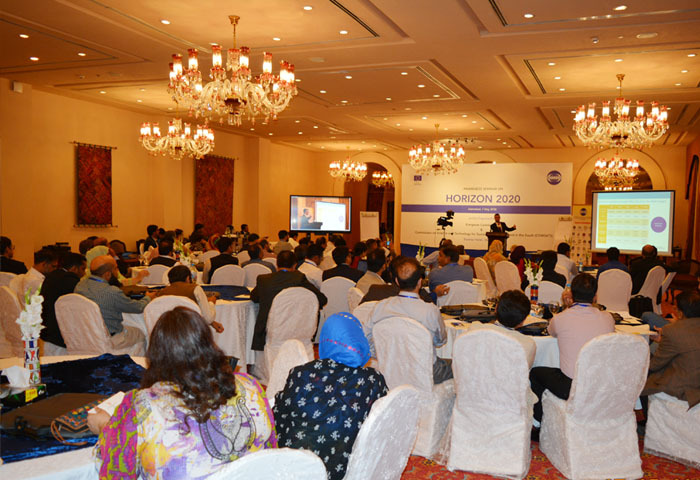 The participants of the event took with them great encouragement in the form of success stories from Pakistan. 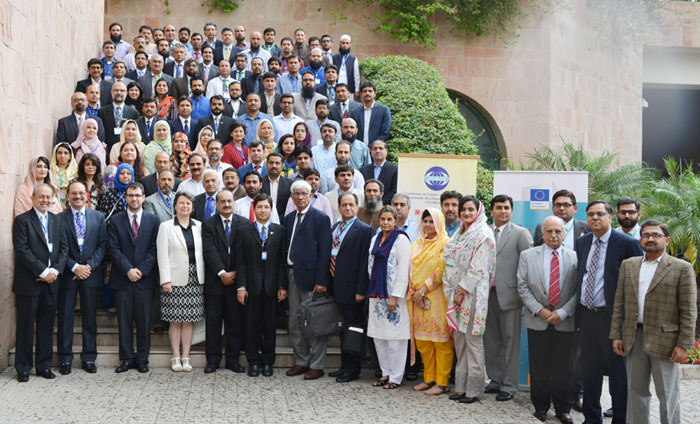 Two Pakistani researchers, Prof. Dr. Syed Habib Bukhari and Dr. Amina Khan shared their experiences that helped them secure funding for their projects under the programme. 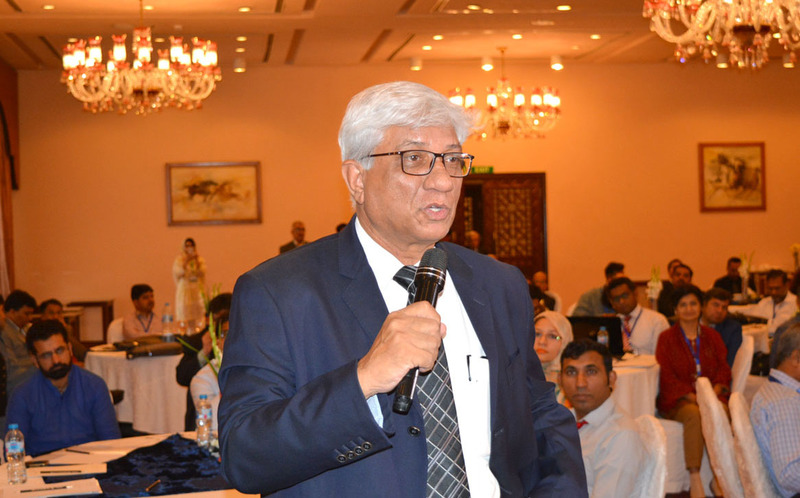 Dr. Bukhari and Dr. Khan had won funding for their projects on “MeTABLE–Advanced Bioinformatics for Genome and Metagenome and Discovery of Novel Biocatalyst from Extremophiles: Implications for Improving Industrial Processes” and “Tobacco cessation within TB programmes: A ‘real world’ solution for countries with dual burden of disease”, respectively. 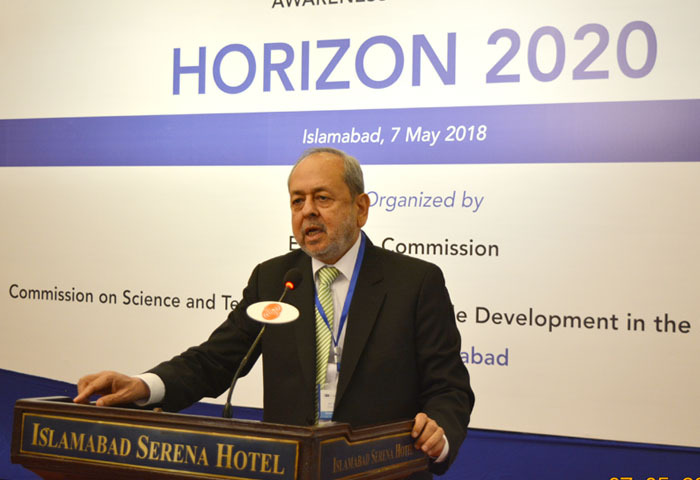 Dr. Bukhari mentioned that policy makers should collaborate with students, researchers and technical experts to help maximize the benefits of such funding opportunities for national development. 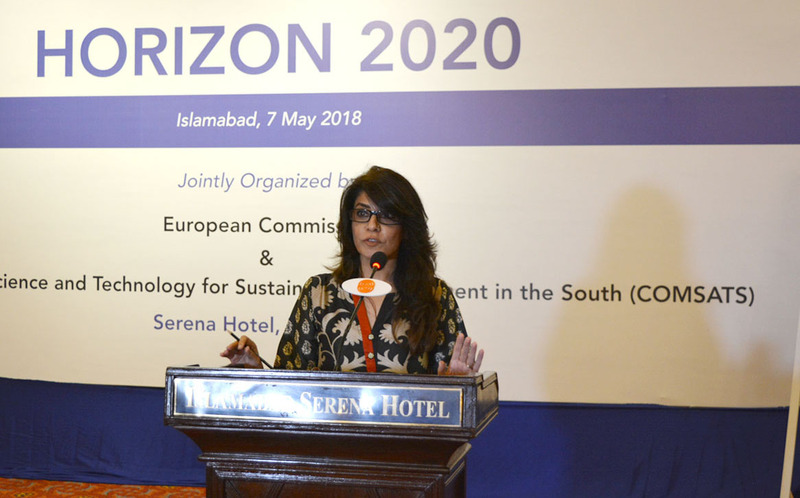 Dr. Khan noted that having good track record in one’s area of research is of utmost importance for securing funding under H2020. 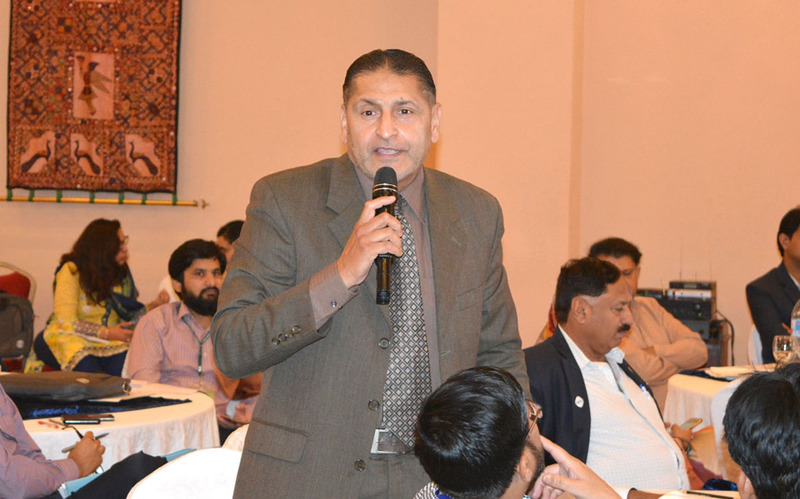 Discussion and Q&A sessions of the event further complemented the training imparted during the seminar. 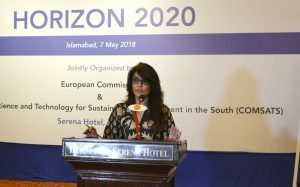 These pertained to: national focal points for H2020, available sources of information, capacity-building aspects of the projects, joint venturing between universities, possibilities for social science related projects, important timelines, ICTs in agriculture, inter-disciplinarity of the projects and intellectual property. Q&A session also entertained queries from COMSATS Centres of Excellence.